The crowd pulling event also witnessed a red carpet display with rising celebrities, artist on stage including comedians. 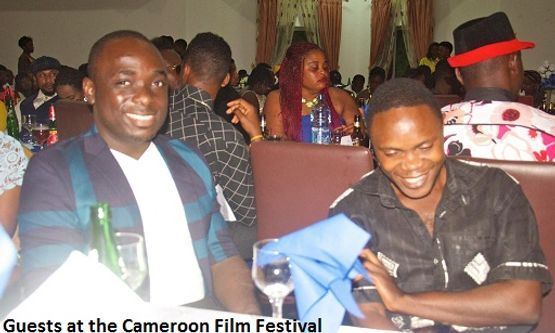 Though it was an all entertaining event, the audience in attendance had a wonderful time not only catching fun but exposed to the local realities of social life of university students in Cameroon. 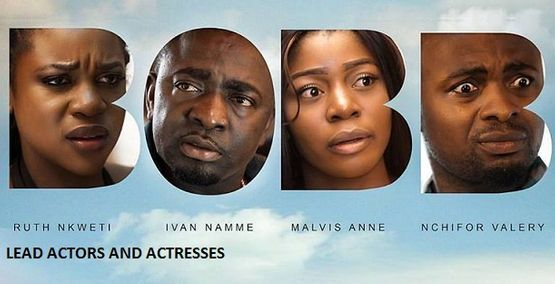 This home video portrays a young woman (Ruth Nweti) who finds herself at the crossroad of following societal norms or indulging in vices of the company she keeps. Naomi Ngalle (Ruth Nweti) is an overwrought undergraduate ready for a ride into the excitement of contemporary lifestyle. A lifestyle of competition among peers: over who owns the latest android phones, stays in the most up standard apartment or associates with the biggest guns in town. A lifestyle where activities and interactions have been made easier by the precedence of information technological gadgets and the internet. The University town of Molyko is the perfect setting H where high moral decadence juxtaposes with educational expectations H where the prying eyes of her parents have limitations. Totally charged up with an exhilarating spirit, Naomi is resolute not only to be seen but to be heard as well. Not even persistent counselling from a supportive family is stopping her from tasting the waters of a full blown independent life at the university. Carried away by peer pressure and with a determination to be seen at the top of her acts, she teams up with four hot unscrupulous girls Audrei Sone (Malvis Ann), Jacky Mbua (Prisca Kongwe), Melissa Epie (Becky Takang) and Lilian Ekese (Helen Nchung) to exploit an adventurous life of deceit, betrayal, prostitution, parties, at the expense of studies, health and morals. Their adventures in less than no time collided with a band of three rugged guys, Jason Baye (Nchifor Valery), Bradley Enow (Nkwah Kingsley), and Clive Oben (Ivan Namme) with damaging secrets up their sleeves. These ambitious guys from Dubai were ready to cause chaos if slightly provoked and Molyko is just a perfect arena for provocation. Their interplay begins mildly, picking momentum on a roller coaster speed, hitting and picking anyone along its way until it results to not just betrayal, blackmail and murder but to suicide as well. 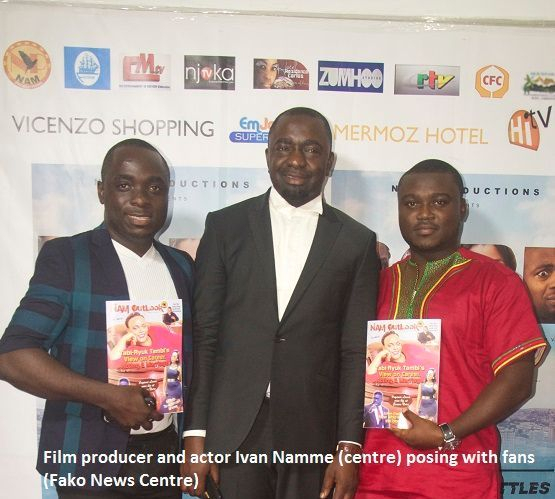 This event was also used to market other moves by Ivan Namme’s production house called Nams Production. 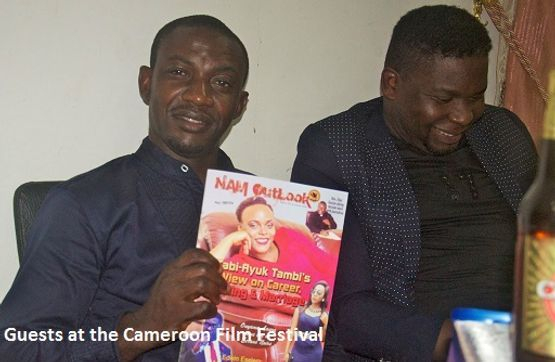 The guests also bought copies of his showbiz magazine; “Nam Outlook.” The Cameroon Film Industry is already enjoying quality and educative movies from this production house.